 FM Approvals has been made aware of the market and sale of automatic sprinklers marked as “Firex” and bearing a counterfeit FM Approvals mark. FM Approvals has neither tested nor certified these products. Unknown. FM Approvals is currently working with Emirates Fire Fighting Equip. 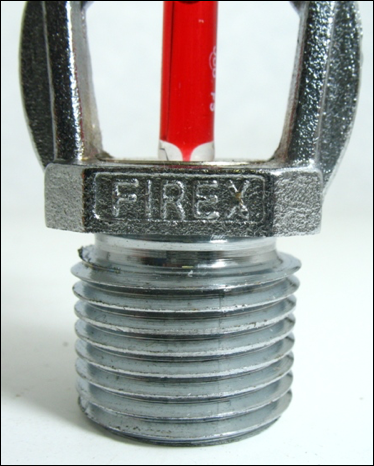 Factory LLC (Firex) to determine the source of the counterfeit sprinklers. ½” NPT, 5mm bulb, standard spray upright style automatic sprinkler. There is no evidence these products have ever been tested to the rigorous requirements of any testing and certification organization, including FM Approvals. As such, these automatic sprinklers cannot be relied upon to react to or control a fire. Failure by any of the following mechanisms is possible: failure of the thermal element, orifice leakage, early operation, late operation, bulb strutting (incomplete fracture), deflector blow off, inadequate or excessive discharge rate, corrosive attack, failure to operate, failure to produce an adequate discharge pattern, etc. 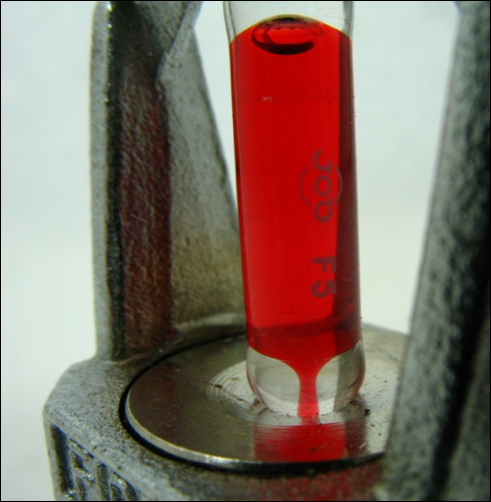 Of further note is the observed use of an o-ring type orifice seal, which have been shown as unreliable and possibly dangerous. Some o-ring type sprinklers have been subjected to a Consumer Product Safety Commission product recall. 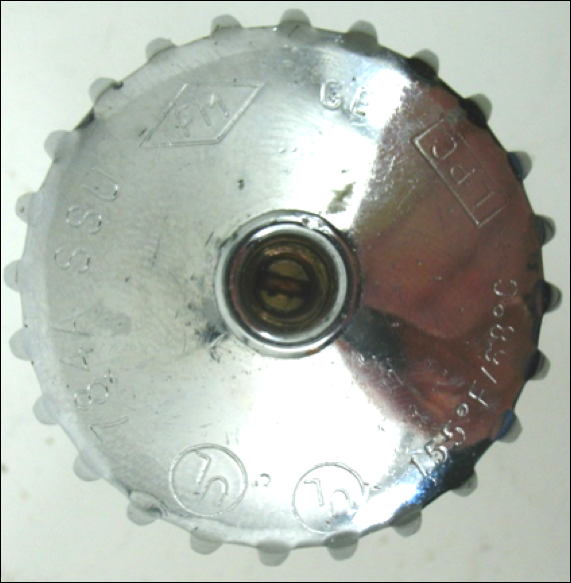 Figure 3 shows the markings stamped into the deflector of the sprinkler. The FM Approvals mark appears in the upper left of the photograph. 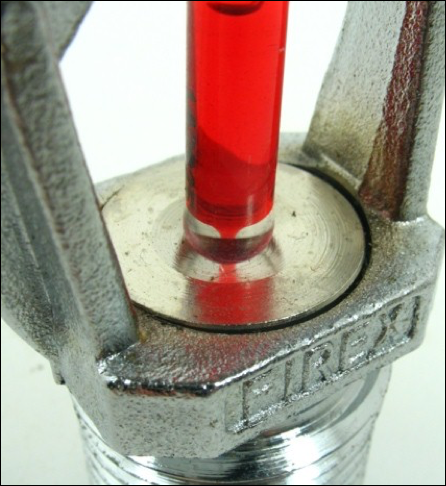 Figure 4 shows a close view of the orifice seal cap. The cap compresses an o-ring type seal, very similar to sprinklers that have shown this to be an unreliable design. Figure 5 shows the frangible glass bulb used in the sprinkler. 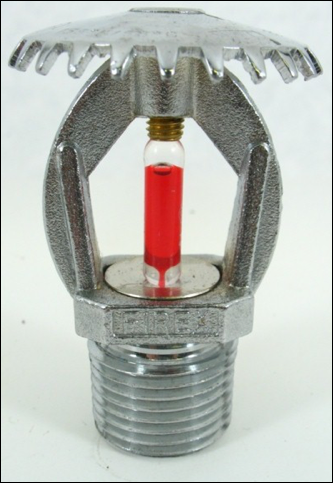 The glass bulb was manufactured by Job Bulbs and is printed with the model designation “F5.” There are no currently FM Approved sprinklers that use the Job model F5 5mm bulb, only the Job model G5 5mm bulb.